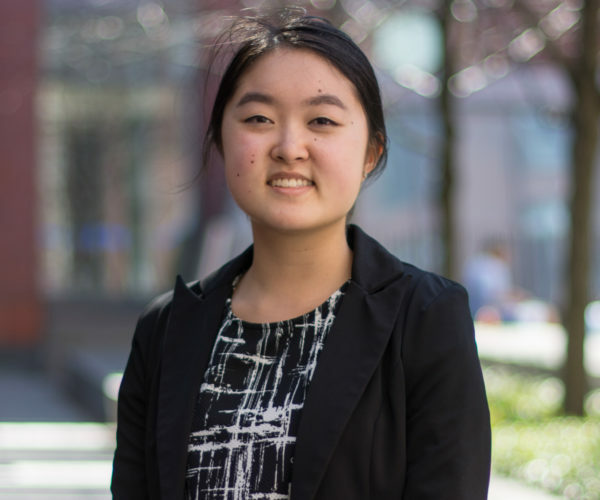 During her first year at Penn, Stephanie Wu, W’20, participated in the Industry Exploration Program in Washington, D.C. organized by the Penn Wharton Public Policy Initiative (PPI) to better immerse herself in American policymaking. Since then, she has been building teamwork skills and nonprofit insight through her involvement in the Turner Social Impact Society and Penn International Impact Consulting, as well as worked as a PPI-sponsored research assistant for Wharton Legal Studies and Business Ethics Assistant Prof. Sarah Light. 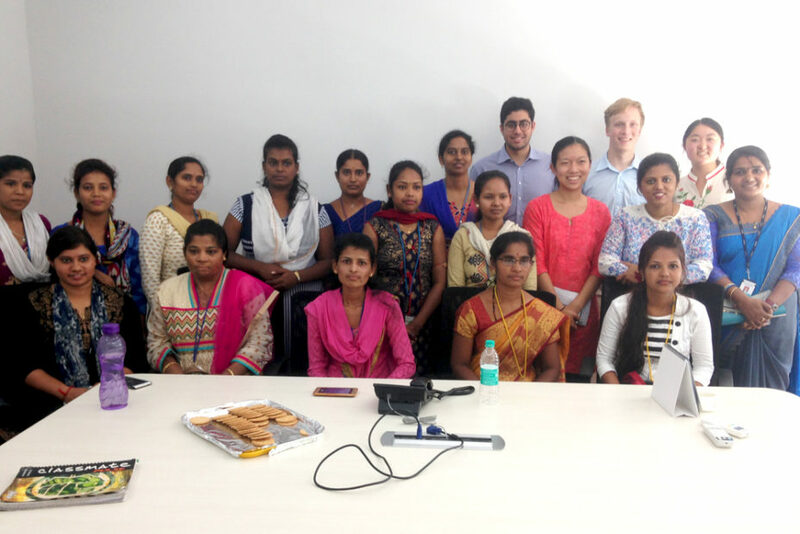 This summer, Stephanie set out to explore Bangalore, India with an internship at Shahi Exports, one of multiple immersive opportunities offered by Penn’s Center for the Advanced Study of India (CASI). While working in organizational development for a garment factory employing many vulnerable women, Stephanie developed a project to prove that increasing the number of female supervisors can be an undeniable benefit. Her research and strategic planning culminated in a team presentation to the company board. My first inkling that feminism in India meant a very different thing to what I had been exposed to in the West, came from the counseling sessions that were arranged by CASI before our trip to India. There, our director Aparna stated that she herself had had to adjust her version of feminism when visiting India. And in my limited time and experience here, it has indeed seemed vastly different. Trying to understand what feminism means entails wading through centuries of social conditioning by rulers, seminal texts, and customs — as well as the other cultural aspects which tie into the issue. Stephanie (back right) with women who have undergone PACE, an empowering soft skills training program. To do this, I’ve interviewed female tailors and supervisors, male supervisors and senior management, and talked extensively with our boss Chitra who feels passionately about the issue. And throughout these interviews, it was definitely a struggle for me to refrain from imposing my own Western frameworks of feminism upon the stories that were told to me, and recognize that these frameworks were narrowing my vision, instead of focusing my interpretation. Western women face glass ceilings and find it hard to climb when “merit” and “leadership” are defined by masculine characteristics. There was also a strong perception that Indian female supervisors were less productive than males, despite them having an equal ability to perform. It would be easy for me to characterize these experiences as being painted by the same brush, but that would also be me erasing the complex nuances behind the attitudes and their causes. Similarly in the family sphere, Western women face issues related to maternity leave and attaining the mythical “how can you have it all” work life balance. Well, all women have wombs, and Indian women too are stopped from rising because of pregnancy and family issues. Except here, the problems and solutions are different when women in India do 90% of all household work (the highest proportion of all large countries) and social attitudes are much less accepting of having women in the workplace. There are also a myriad of challenges faced by Indian women which cannot be encapsulated by comparison to Western feminism, or at least — exist to such an extent that the two can hardly be compared. The safety considerations that are attached to women working late, the social attitudes which keep even educated Indian women at home, the inability for pro-female policies to reach the majority of women who work in the informal market, the intersectionality that comes with caste, femicide and dowry payments, the remnants of colonialism, dress codes, and too many other issues which I have barely scratched the surface of understanding. And Indian feminism itself is such a diverse umbrella, as it must be when the nation is comprised of such a wide range of religions, customs, ethnic beliefs and socioeconomic status. I still have so much more to unpack about the causes and manifestations of these attitudes in India. But something else which is common between Indian and Western feminism, is the strong role models who manage to rise up despite the barriers. From the migrant female supervisor who overcomes language and gender barriers to supervise even male workers, to the female who has risen in a male dominated department to manage the entire thing — there will always be women who overcome challenges and prove their mettle. Originally published on the CASI Student Programs Blog on July 29, 2018. Founded in 1992 by Penn Political Science Prof. Francine R. Frankel, the Center for the Advanced Study of India (CASI) is the first academic research center in the U.S. for the study of contemporary India. As a research institution, CASI connects American and Indian academics, policymakers, civil society representatives and business leaders, to engage young scholars in intercultural research. Stephanie is excited to go back to India someday, citing rich cultural preservation, and genuine community caring and selflessness among reasons why. “Part of the charm, for me, was that it was just so complex,” she said. “Even the little things you think would not be so pleasant, like walking on the roads and having to dodge cow manure — I still miss it.” In the meantime, it’s her current career aspiration to empower women around the world.